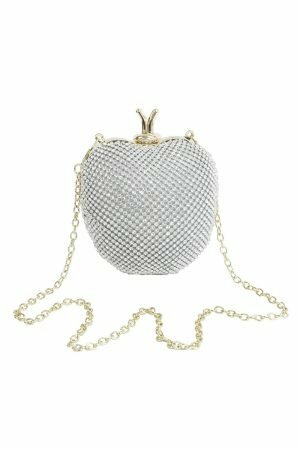 Add a hint of Hollywood glamour to your girl's look with our jewel gold apple clutch bag. 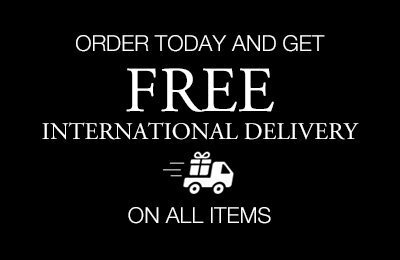 A must-have accessory for spring/summer, now your starlet can celebrate any special occasion in true designer style. Hand-picked especially for parties, birthdays and bat mitzvahs, this glitzy clutch lends luxury to even the simplest of evening ensembles. 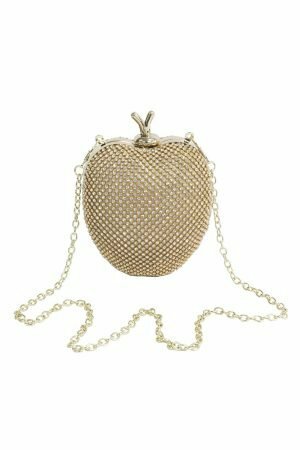 Available in a gold colourway with sparkling diamanté design, prepare to dazzle with this kitsch apple clutch on hand. Compact and satin lined, your daughter won't want to leave home without this beautiful bag on her arm. Single clasp closure and detachable gold shoulder chain. 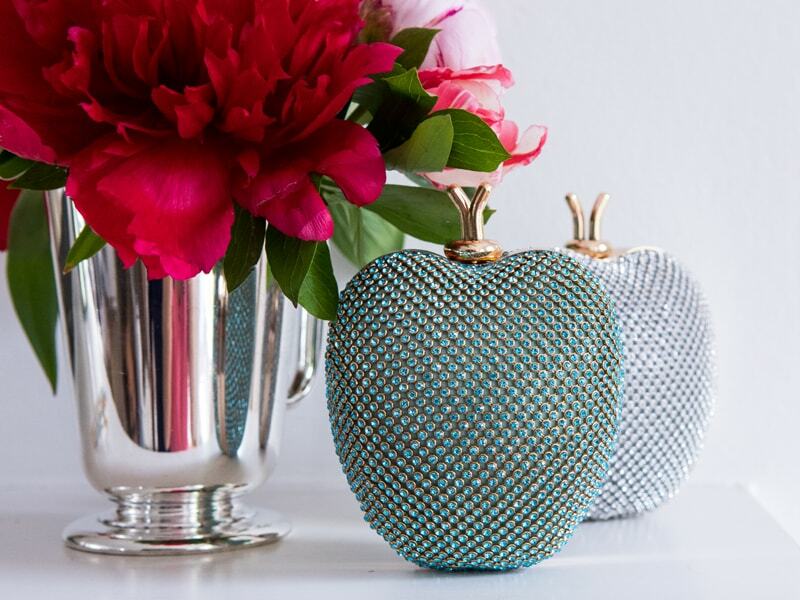 Capture the essence of spring with the jewel silver apple clutch bag by David Charles. This stylish edition makes the perfect accessory and is sure to freshen up your girl's favourite evening look. 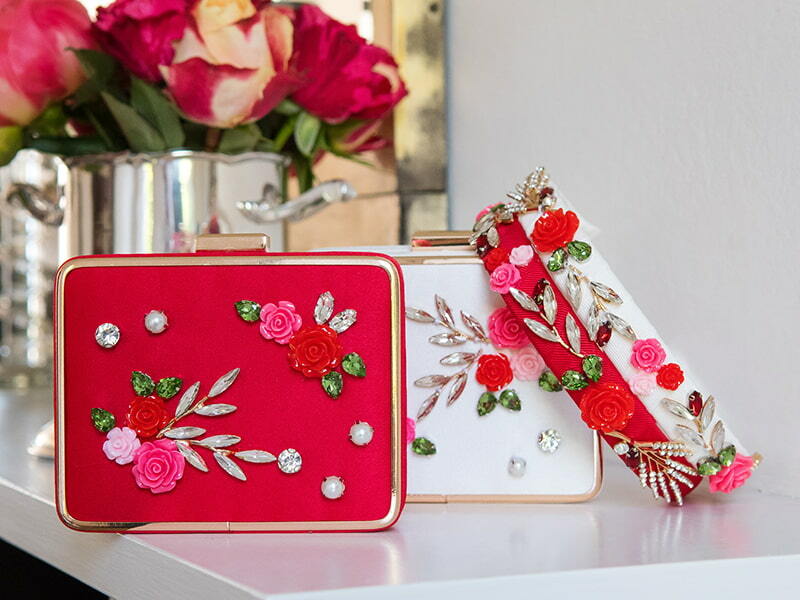 Designed to bring luxury style to her wardrobe, this kitsch clutch is the ultimate statement bag for parties and proms. A silver colourway with precious diamanté design covers every inch of this bag so your daughter can sparkle from every angle. 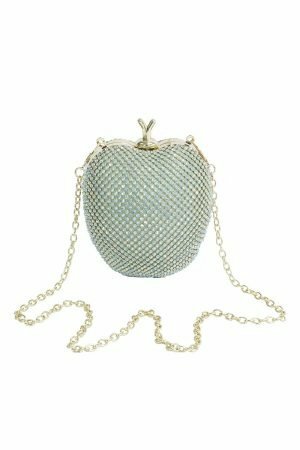 Our compact satin-lined apple clutch is an ideal size to carry by hand, but also includes a detachable gold shoulder chain. Single clasp closure. 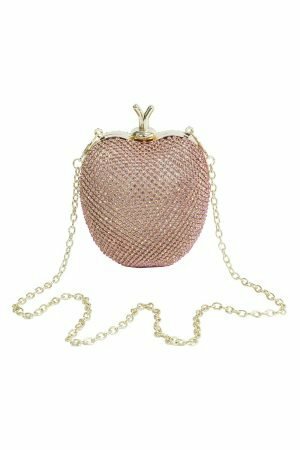 Introduce a luxurious statement with our jewel pink apple clutch bag. 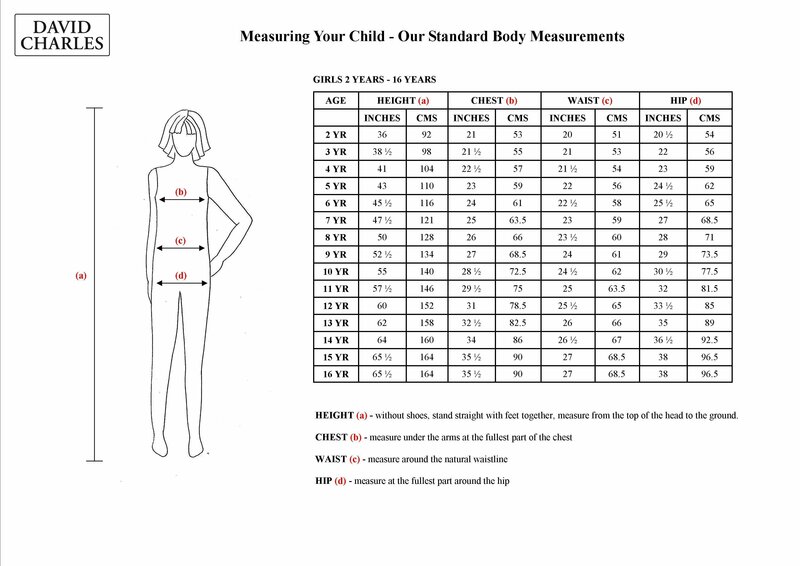 Designed to complement your girl's spring/summer wardrobe, get ready to greet the occasion in style. 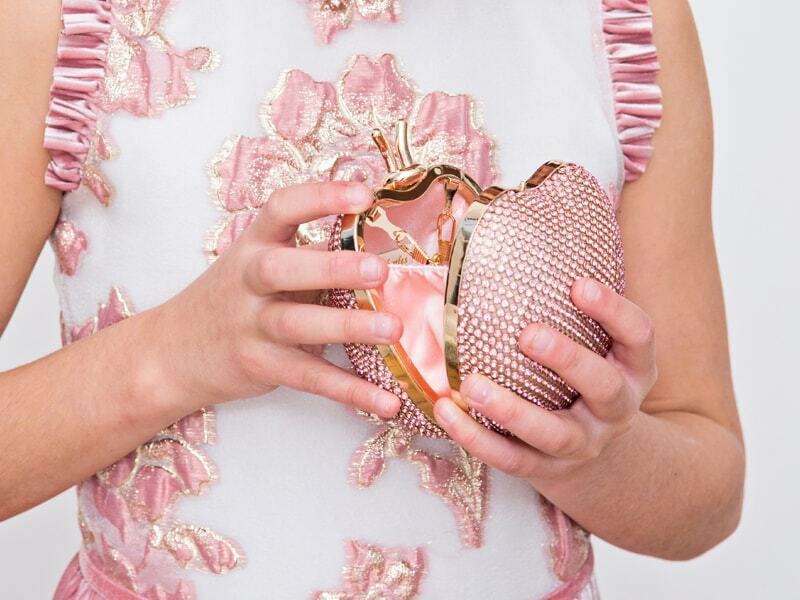 With a jewel pink colour palette and diamanté gems throughout, this apple shaped clutch is sure to become your angel's go-to accessory for all her favourite social events. Perfect for parties and proms, your daughter will be all smiles when she adds this designer piece to her new season evening edit. This compact sized clutch is satin lined, and includes a detachable gold shoulder chain for a personalised look. Single clasp closure. Steal the style spotlight with this jewel turquoise apple clutch bag. Spring/summer is the perfect time to introduce a pop of colour, and this cool blue edition is sure to help your girl accessorize to her heart's content. With a cute apple shape and fresh turquoise colourway, this new season clutch adds luxury to any special occasion ensemble. Whether your sweetheart has a birthday party or family gathering on the cards, be sure to complete her look with this exclusive accessory. Our satin-lined clutch is compact so your daughter can arrive looking preened and polished every time. Includes a detachable gold shoulder chain and single clasp closure.